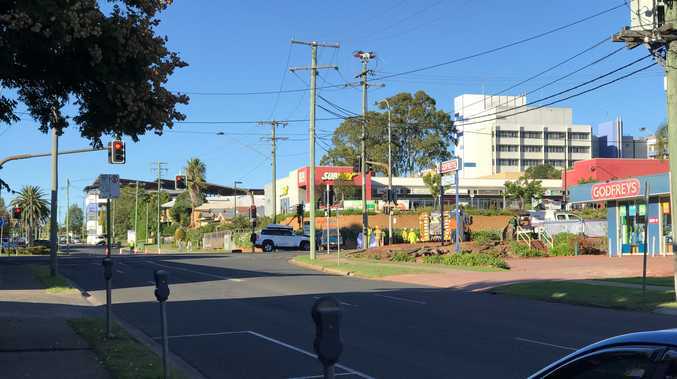 UPDATE: Investigations are still underway to find out how two 1kg packages of an unknown white substance washed up on two Bundaberg beaches. 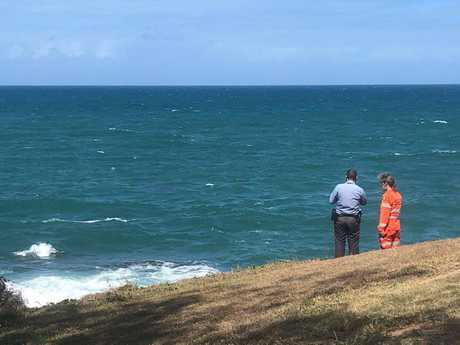 Police scoured beaches yesterday afternoon with the assistance of SES volunteers in a bid to secure any further packages that may have made their way to shore. A mother and her child discovered one of the packages at Mon Repos on Thursday while the other package was found by two young women at Elliott Heads a week ago. 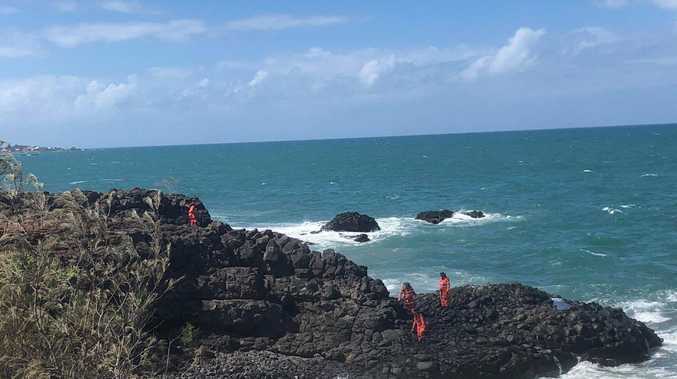 Superintendent Craig Hawkins of the Wide Bay Burnett District said while the blocks were yet to be analysed, the very nature of the substance and the fact it had washed up on the beach was cause for concern. "Clearly the way it is packaged and the way that it's been presented, our strong suspicion is that it is an illicit substance and until we have it properly analysed we won't know for sure," Supt Hawkins said. Supt Hawkins said while police were working with other emergency services and Australian Border Police as to how the packages came about, further information from the public was needed. Police hold concerns regarding the contents of the packages and believe they could become a health risk if found and handled. The public is urged to contact police should further packages be found and are warned not to open them as the substance could be hazardous. "This is causing us a great deal of concern because people that might find this item, by handling the product, they could cause themselves some harm that could lead to fatal or critical consequences," Supt Hawkins said. "Any further information we can get from the public may help us establish the locations of further packages. "Anyone who was at sea or on the coastline near these locations and saw anything suspicious in the water or other suspicious activity is urged to contact police." Supt Hawkins said while the two packages have been on Bundaberg beaches it is possible there are other packages that may wash up along the coast, due to tidal flows and ocean currents. If anyone saw anything suspicious or has located items, please report this to police. It could be valuable information to police. Superintendent Hawkins added that police were awaiting the results of forensic examination of the powder, however the way they were packaged and the manner in which they were found was suspicious and concerning. If you have information, contact Policelink on 131 444. You can report information about anonymously to Crime Stoppers on 1800 333 000. Members of the public contacted police after discovering two separate one-kilogram packages containing a powdery substance at Elliott Heads on December 21 and Mon Repos on yesterday. "Any further information we can get from the public may help us establish the locations of further packages," Superintendent Hawkins said. "Anyone who was at sea or on the coastline near these locations and saw anything suspicious in the water or other suspicious activity is urged to contact police." The public is urged to contact police should further packages be located and to not open them as the substance could be hazardous. If anyone saw anything suspicious or has located items, please report this to the police. It could be valuable information to the police. Superintendent Hawkins added that police are awaiting the results of forensic examination of the powder, however, the way they are packaged and the manner in which they were located, is obviously suspicious and concerning.